The body of a dead young black man is laying on a dry tarmac road. The image is pixel-poor, but the figure is clearly no longer breathing . People are gathering around the scene: a small area, tight to the boy, cordoned-off by police. His body —face and chest down, blood slowly spilling from the sides —is uncovered for everyone to see. 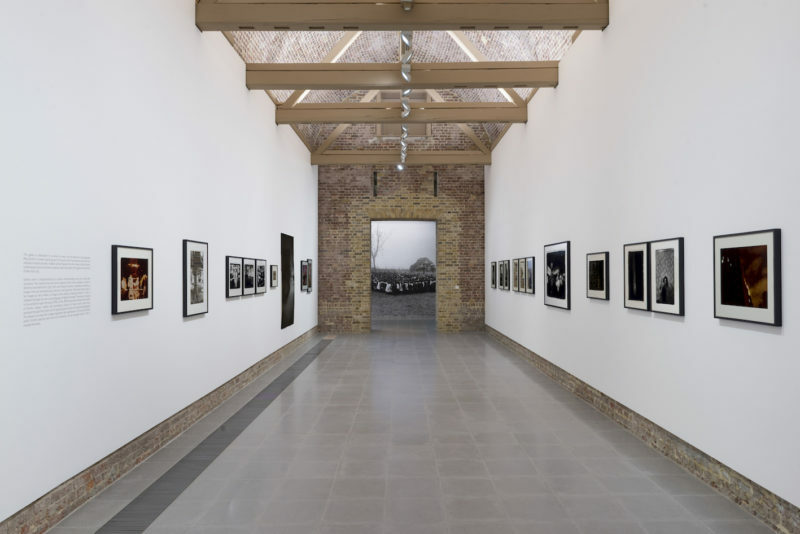 Arthur Jafa’s recently opened exhibition, A series of Utterly Improbable, Yet Extraordinary Renditions, at Serpentine Sackler Gallery, is full of affective juxtapositions. Through a myriad of media, the works are at times familiar, jarring, and emotionally provocative, as if one were literally being touched by the material. This instillation of vulnerability in the viewer is present in Jafa’s previous works, such as ‘Love Is The Message, The Message Is Death’ (2016), screened as part of his Park Night event at this year’s Serpentine Pavilion, designed by Diébédo Francis Kéré. 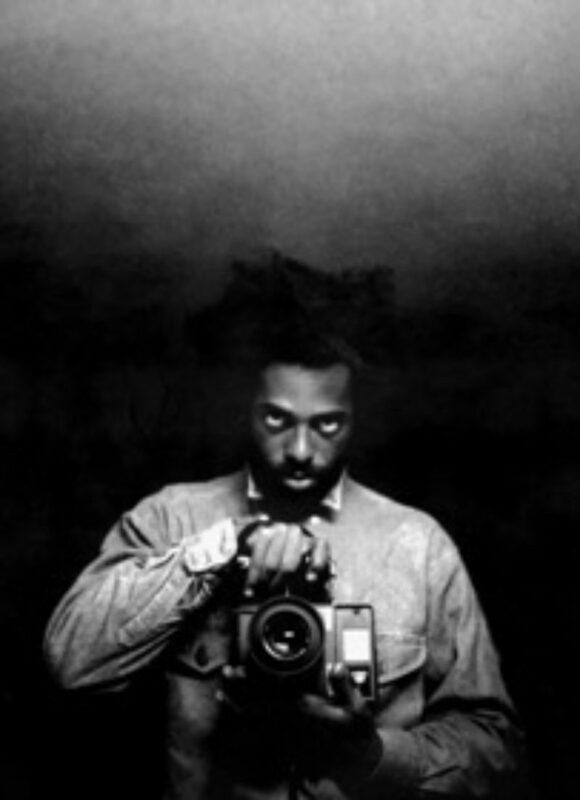 As a practice, Jafa considers how Black visual aesthetics may be developed on par to the unique strengths of Black music in US culture, to its inherent ‘power, beauty and alienation’. 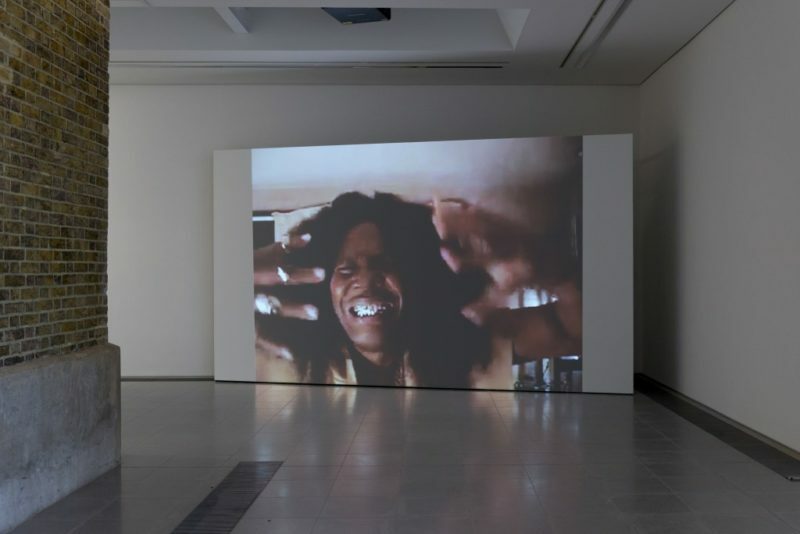 At the Serpentine, Jafa‘s mantra materialises as a site-specific installation compromising film, photography and found footage, whilst also featuring works by Ming Smith, Frida Orupabo, and Missylanyus. The associations embedded in Jafa’s development of Black visual aesthetics function at a reactive, visceral level. This bodily experience manifests most clearly while viewing ‘Mix 1– 3_constantly evolving’ (2017), a video installation comprising three screens—two angled projections and one hanging screen—bisecting the rooms in the gallery. 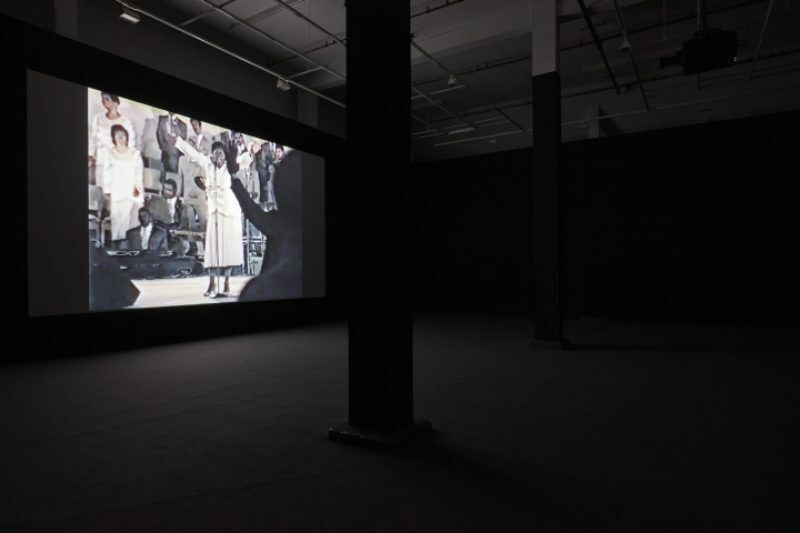 Each screen features a set of sequenced footage, found and created, which changes throughout the duration of the exhibition. Wireless, three-channel, volume-adjustable headphones are provided to tune-in. Here, images such as Michael Brown’s murder scene and of gospel singer Lateria Wooten are edited together, often with additional soundtracks. Images of violence are not the only emotive content; Jafa’s mixes are as much a celebration of Black visual culture, from phone videos of dancing teens in the subway, to low-production internet TV series showcasing raw and unfiltered comedy and tragedy. They include films by artists and filmmakers Kahlil Joseph, John Akomfrah, Alan Gorg, as well as videos from Missylanyus’s youtube channel, whose self-recorded musical renditions are equal parts entrancing and strange. This celebration is as much a form of re-representation as a way of making space for Black expression. Jafa makes room to feature work by other artists, such as Ming Smith, whose photographs take up the entire North Powder Room. Jafa’s gesture is less about a kind of generosity, and more about an acute understanding of how these images exert power and agency over the viewer. The gesture is significant because it defines Black visual aesthetics as a collective endeavour, inherently personal, yet unable of being produced by an isolated individual. 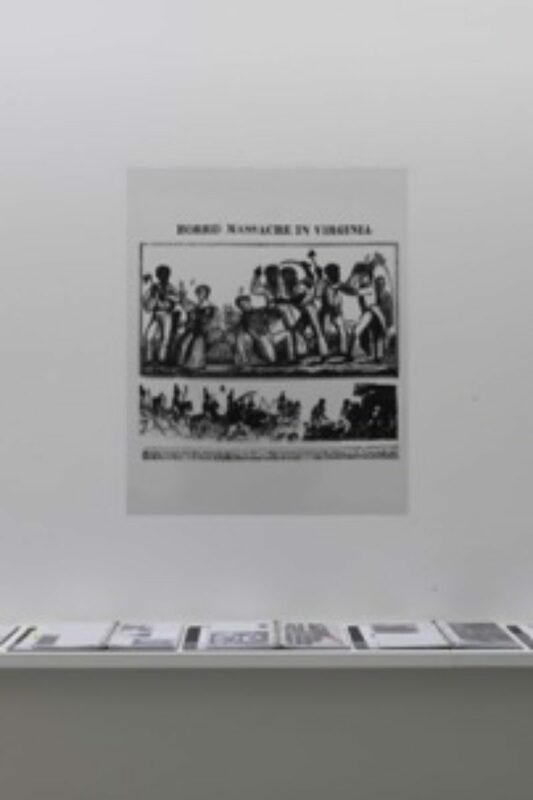 Smith’s and Orupabo’s inclusion, for example, introduce female subjects as seen and depicted by women, providing a needed sense of respite in an exhibition which the masculine might otherwise predominate.The mixes are representative of this collectivity in showcasing an array of sourced material, although it is important to note Jafa‘s subjective lens, as one does consider how might such depictions have been translated differently should Jafa be a Black woman, or queer, or both. As a whole, the mixes have a cumulative effect, intensifying and cinematic, composing moments of tension and release. Although their images are often familiar, Jafa reconfigures the experience of looking, as if allowing the material to be digested for the first time. The mixes go beyond nuanced filmmaking that substantiates what is already known about popular fascination with Black culture. Instead, Jafa complicates this narrative by presenting the daily, systematic violence inflicted upon Black bodies, thus rendering visible the historical, political and social structures—racial, economical, gendered—that determine their ontological existence. Here imagery is transformed to jar fascination with trauma, appropriation with violence, celebration with mourning, laying bare the production of complex emotional dynamics and the contradictions embedded in the consumption and presentation of Black lives. A striking self-portrait of Jafa titled ‘Monster’ (1989), hangs close to self-standing cut outs of science-fiction characters in moments of choreographed anger: a black Hulk, ‘Le Rage’ (2017) explodes an entire pavement with its punch, whilst another, more abstract, black figure titled ‘ Monster II’ (2017), equally lifts their fist in motion—here a suggestive mirror image rather than aggressive action. Jafa’s self-identification with such ‘monstrous’ characterisation and imagery appears to be a comment on experience; it suggests the pre-existing, internalised image of the Black figure as both a feared and admired ‘other’, one that is often reproduced through the codifications of commercialised cultural media. Through strategies of transformation, Jafa both destabilises such characterisations and creates sites of new or structurally obscured meaning. Suspended on the left hand side of the South Gallery is a hand-sewn version of the 13-star confederate flag, made entirely from black fabric. Here, Jafa appropriates a charged symbol of slavery, hatred and white supremacy and transforms its material and referential qualities. Significantly, the work is titled ‘Black Flag’ (2017), not ‘confederate black flag’ or ‘confederate flag in black’, as a way of fixating on—not fixing —the very blackness that it seeks to repudiate. Behind it, a version of the original American flag, dyed black, hangs shrunken, distorted and crumpled. This work, ‘Black American Flag 1.0’ (2017), is a remnant of a failed project, a history beyond repair, at the same time as suggesting the possibility of future, upgraded versions. One also thinks of David Hammond’s ‘African American Flag’ (1990) and Chris Ofilis’s ‘Union Black’ (2003) as important precursors. Alongside appearing in the exhibition’s vinyl text, Jafa reiterated these words when describing his practice as an attempt to develop a Black visual aesthetics—referred to as a ‘mantra’—during his Serpentine Park Night event on 30 June 2017.